I am a local resident who has been tobacco-free since 2013 (I was a smoker for 20+yrs). Thanks to the vaping experience, I can honestly say I do not miss tobacco and I will never go back to that nasty habit. I love the city and its people and I want to share this experience with the world. Vaping has changed and quite possibly SAVED my life. We are proud to be Pittsburg's First & Only Vape Shop. No need to waste gas and spend time driving to the next city (or further) to get any of your vaping supplies. Our prices are SUPER Competitive and our Services are Superior. 21+ only with valid ID. We proudly stock USA made/designed Mods & Atty's as well as a wide selection of over 150 different Quality High VG eliquids. Try all our flavors and mods before you buy. 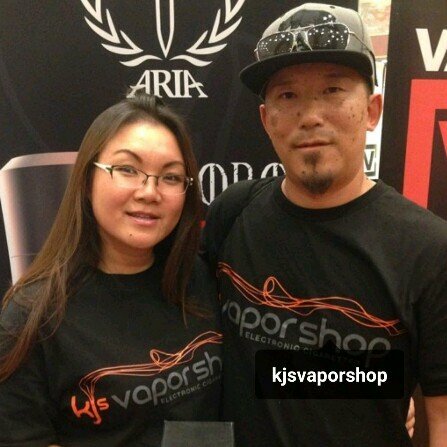 KJ's crew of experts can help answer any questions you have about vaping. We like talking about it to anyone willing to listen to us ramble on and on about how great the vaping experience can be for you. Effective June 9, 2016 21+ only with valid ID. We do card and enforce the 21+ so please don't embarrass yourself if you are under 21 and/or don't have a VALID Government Issued ID.